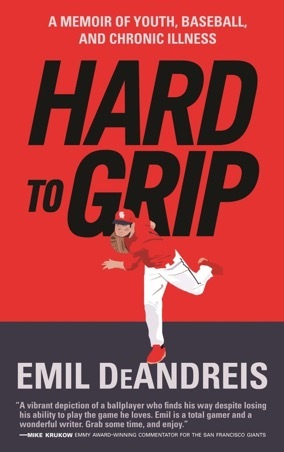 In his memoir Hard to Grip: A Memoir of Youth, Baseball, and Chronic Illness, Emil DeAndreis tells the story of how he grew up with a passion for baseball and a dream to play pro ball. 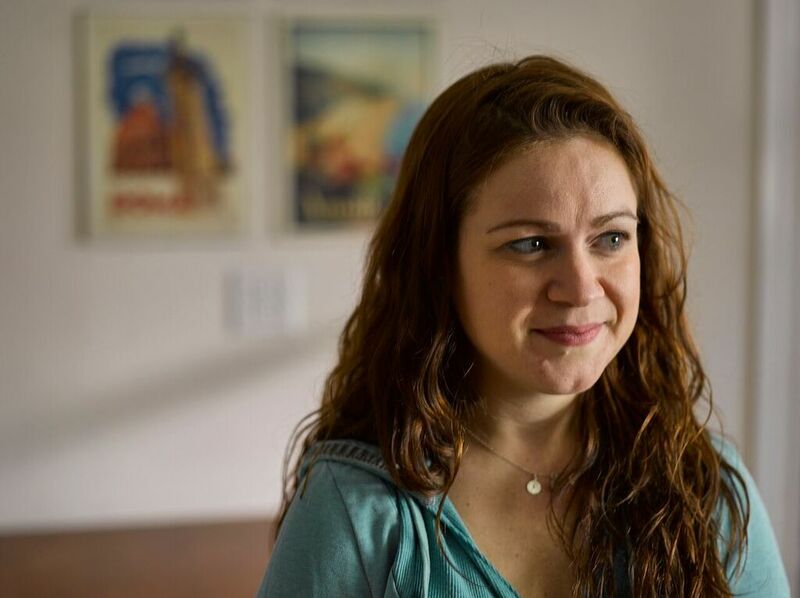 A dream that was snatched away by rheumatoid arthritis (RA). A lyrical, often funny, and very honest book, Hard to Grip is a compelling story of how a boy became a man while living and breathing baseball. I recently spoke to Emil about his book and his life. As a child, Emil played baseball with his dad, then continued as a pitcher in high school, and eventually went to the University of Hawaii Hilo on a baseball scholarship. 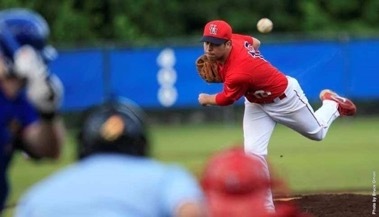 After graduating at age 23, he negotiated a professional contract to play baseball in Belgium. “It was like my body decided to play the most ultimate prank on me, like April Fools times a million,” Emil remembered. “Right away, I started feeling a burning sensation in my elbow. Then the flexibility in my elbow started to get affected and there was some swelling involved.” A cortisone injection didn’t work, and then his fingers started to swell. When he returned to the doctor for another shot, he instead got a referral to a rheumatologist. But there are some significant losses. In addition to being a fervent fan, Emil is also coaching at his old high school, as well as the College of San Mateo where he teaches English. He has a Master of Fine Arts degree in creative writing from the San Francisco State University. “Being able now to coach and nurture other kids through their own baseball experience, you end up loving everything about the game,” he said. Living back in San Francisco with his wife Kendall, Emil (now 31) is focusing on writing, teaching, and baseball. Hard to Grip is his second book (Beyond Folly, a collection of short stories about teaching, is his first), and he’s currently working on a new book. The topic might not surprise you. You can follow Emil DeAndreis on Twitter and his Facebook page.